It’s conventional wisdom that the four year break between Sweet Oblivion and this album is what prevented Screaming Trees from being big stars; in other words, they didn’t capitalize on the Seattle boom of the early 90’s. And sure, no output from 1993-1995 surely hurt them. But just as big a factor, I have to think, is that this album just isn’t that good. Of course the two can’t be teased apart all that easily. The band folded after this record, and it seems likely to me that they were headed down the breakup path during its recording and release. They’ve got a new producer on this album in George Drakoulias, and the sound is just…different. It’s not as muddy as it was when I was complaining about it on their indie albums, but Lanegan’s voice is higher, even falsetto in some places, and the guitar sound is too clean and radio-friendly. The guitar is also missing the hooks. 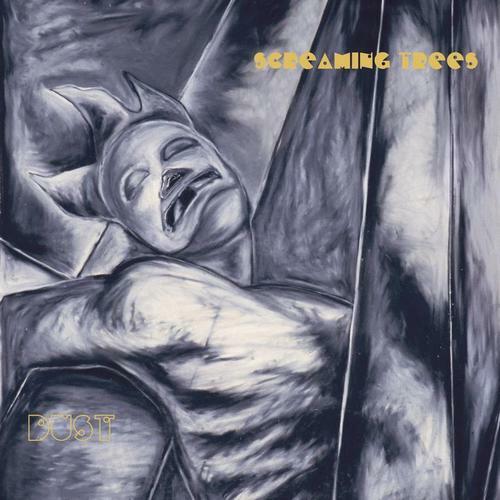 So without the amazing guitar melodies and Lanegan’s voice, is it even really Screaming Trees? It’s not like the band lost its sense of aesthetics during this time. In 1994 Lanegan released the excellent Whiskey And The Holy Ghost, and of course he’s gone on to have an incredible career that’s kind of even exceeded that of his original band. So they ended up with an album that’s a bit aimless. It’s not quite clear what they’re going for, but you can be pretty sure they didn’t hit it. There are a few good tracks on here, particularly on the back half of the disc, but that half also features the god awful, outrageously dull “Traveler.” I’m no fan of the opener, “Halo Of Ashes,” either, and when I hear the opening riff to that song I have to remind myself that some good songs are coming up in order to hang on through it. Even though the last two songs are very good, in particular “Gospel Plow,” I think in my mind the band will always have ended at “Julie Paradise,” going out on top. Halo Of Ashes – sitar. Weak song. I want to give it open. Maybe I’ll move it up, but for now broken. It just hurts to listen to that opening, which is super dull and just a harbinger of the slog this disc is at times. Look At You – Slow. Is this a straight up love song? Gets nice and huge. Not great songwriting, but nicely produced. Dying Days – First song on the album I really like. Although “All I Know” is growing on me in parts. Make My Mind – Ugh. Witness – Certainly has its merits. Could maybe be full on a good day. Traveler – blegh. very pink floyd here. gilmour esque guit. Dime Western – Probably the best one. This entry was posted in album reviews, CD reviews, music, re-reviews and tagged 1996, 3 clowns, album reviews, CD reviews, Ellensburg, grunge, Mark Lanegan, music, re-reviews, Screaming Trees, Seattle by fatclown. Bookmark the permalink.